that she would run the railroad when they grew up. that women did not run railroads and that people might object. It’s not everyday I go out of my way to purchase AND read a book because Mr Tall-Dark-And-Handsome whom I met at some random party claimed it was his favourite book and insisted I should read it. But here we are. I would never be able to reclaim the many, many hours it took to get through the 1168 (!!!) pages that make up this book. Thankfully, none of that happened. Read on and find out why. – except how well you do your work. Whatever else you are, will come from that. For full disclosure purposes, my main motivation to read this book was to glean what kind of character I was dealing with in Mr Tall-Dark-And-Handsome. In literary circles, reading and judging one’s favourite reads is basically the Hogwarts equivalent of dealing with The Sorting Hat. Everyone is rooting for you to be a Gryffindor when you could just as easily be a Hufflepuff *womp womp*. What you’ll be interested to know is that about 30 pages in I forget all about my nefarious intentions and surprisingly got caught up in the story-line. Despite all the dubious reviews it had received on Good Reads, what I found was an engaging book that eloquently articulated some timeless views around money, women in power, wealth creation, ownership and the role of government in business. Very impressive for a book published in 1957.
she did the work long before she was granted the title. I won’t lie, trying to condense this mammoth book into a palatable and succinct review is giving me a mild case of hives. So let me start with what I really liked about the book. The first thing that shot out at me was the strong, sure-footed character of the female protagonist, Dagny Taggart. 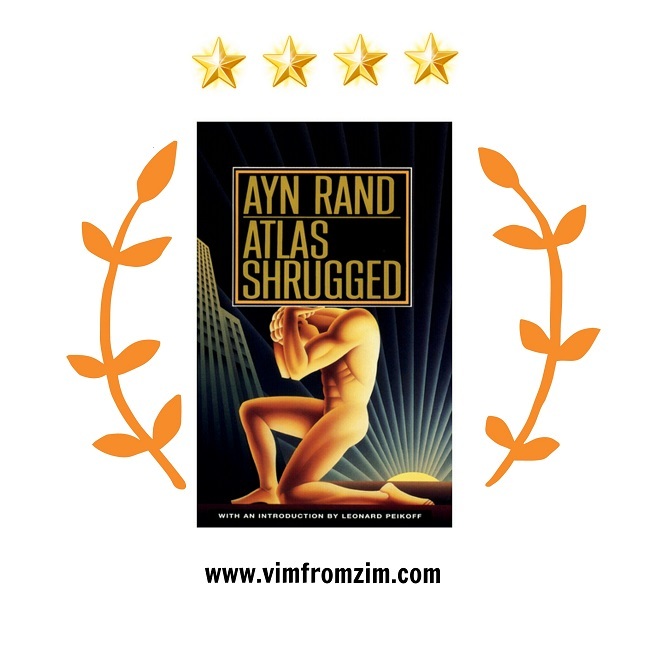 It seems to me that it wasn’t Ayn Rand’s (the author) intention to endear Dagny to the readers for the typical female traits that society dictates befit a woman, such as feminine softness, charm and amicability. Nope, instead you find that what endears you to her is a capable manner, consistency of character, a strong sense of ownership and her straight talking ways. All the traits usually attributed to men in lofty leadership positions. The story is set in the 1950’s, against the backdrop of an industrial crisis in which innovation is frowned upon, government is known to meddle within the affairs of business and organisations are looking to make a profit for their efforts in a tough working environment. To make matters worse, the founders and owners of huge conglomerates and businesses are resigning at short notice and then disappearing off the face of the earth, bringing a sense of doom and panic in an already uncertain financial landscape. Despite the bleak outlook, Dagny Taggert is determined to not only survive but thrive in this economic mess, and you found yourself rooting for this 30-something mogul to overcome all odds. Another reason why I really enjoyed the book is that it helped articulate some views I have around money and wealth creation through another prominent character, Hank Rearden. He’s a self-made man, a steel tycoon who is very involved and proud about his vocation. His family, however, are not proud of his achievements. In fact they, feel the very opposite of proud although they benefit from the lifestyle and peace of mind that Hank’s money affords them. In Hank, you find a rational and focused man who is not afraid to admit that his primary concern in business is to make a profit get ridiculed and mocked by the very individuals who profit directly from the success of his business. Man, there were scenes with is family that mad me hissin’ mad. Over and over again through the course of the book it is discussed how “vulgar” it is to talk about the desire to make a profit from one’s business, when in fact when it comes down to it that is what most (if not all) business owners’s primary concern is. Instead, what is encouraged is to downplay one’s monetary aspirations in business and instead highlight the more philanthropic endeavours that one’s business will benefit society and mankind at large. I really enjoyed parts of the book when Dagny and Hank would be quick to interject that despite unpopular opinion, their focus was to make a profit – public opinion be damned! In many literary forums I noticed many individuals shame this book for its money-focus leanings, whereas I found myself applauding it for just that. As my father loves to drill into me and siblings, if you aren’t taking care of the “bottom line” in business or your chosen pursuit, it doesn’t matter what other great benefits stem from that activity, you have kind of missed the whole point. “So you think that money is the root of all evil? Money is a tool of exchange, which can’t exist unless there are goods produced and men able to produce them. if he’s evaded the choice of what to seek. Sometimes easy-on-the-eye gentlemen have very good taste in books. Those among you who are looking for a little inspiration and hope during these shady economic times of plummeting stocks, market crashes and questionable currency fluctuations – and don’t mind all that being woven in a web of mystery, romance and suspense. Oh and those that have a lot of reading time to spare, to power through it all, lol. 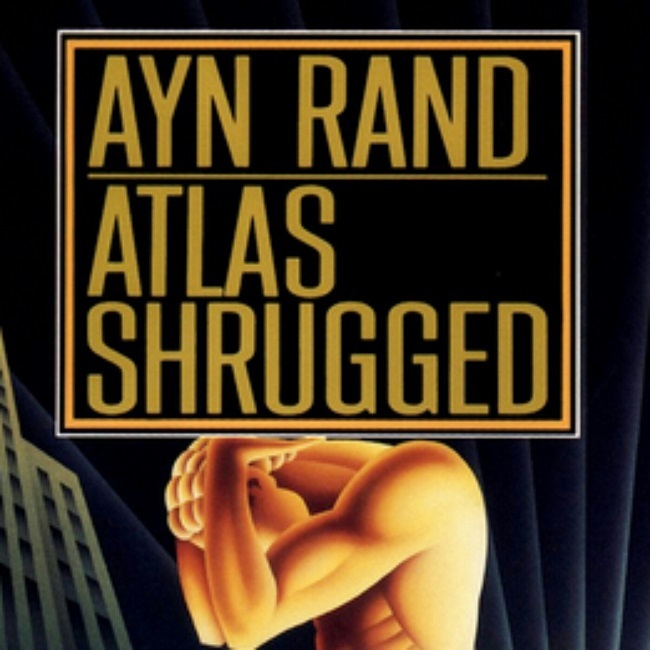 Let me know in the comments if you have read this book or anything written by Ayn Rand, and how you found it/them? Next PostSo, How Does It End?